There are many blindspots in New Zealand’s acknowledgement of the Pacific. Overlooking the hard work of labourers, intrumental in the daily operation of this land we call home, is nothing new. A long standing premise for Pacific artists, Making Visible curated by Ioana Gordon-Smith is another take on this well researched area. Knowing this show would be in an unexplored gallery; Franklin Arts Centre, in farming suburb Pukekohe, left little excitement. 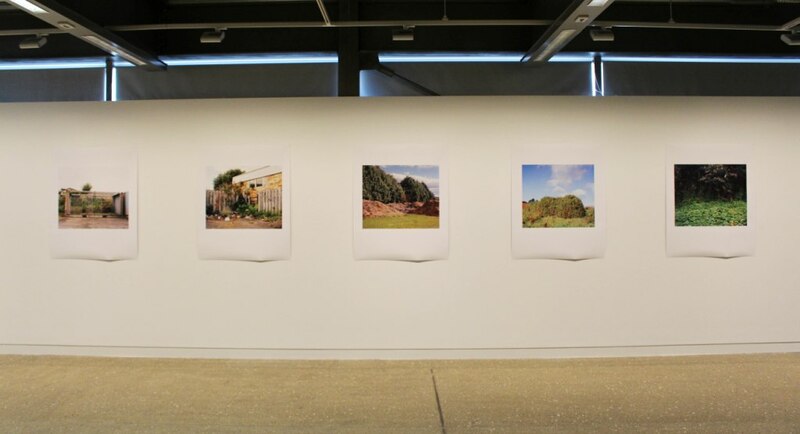 It’s too easy for exhibitions to be plonked into these spaces with no audience ever being considered. And it’s too easy for the curators not to give a damn. Portfolio building I call it. 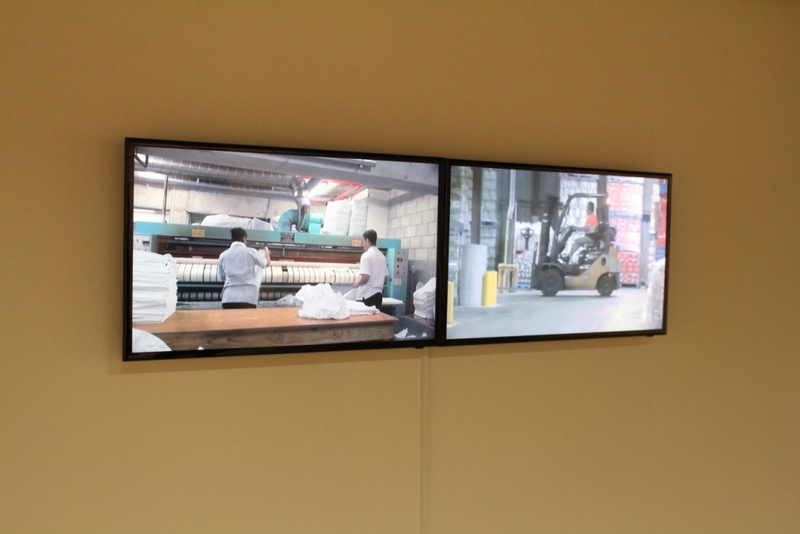 However determined to make the 1hour+ drive, curator Ioana Gordon-Smith quickly proved me wrong. The power of curation is a beautiful thing. Teaming up established artists with younger ones, academically focused versus practice orientated, the artist selection was flawless. Adding to this was the variation of media. Large wall works were interupted by larger scultpural works, the entire space was utilised. It was slick and compelling. Salome Tanuvasa literally made the hidden labour force visible. Filming in a local hotel and the DB brewries she brings to light the everyday mundane activities of these workers, reframing and recontextualising them. Giving them importance. Similarly John Vea highlights the imported labour of the Recognised Seasonal Employer scheme. By placing these cast ‘taros’ into freighting crates he symbolises the nature in which these workers are treated, shipped in and then out. To add to that, Lonnie Hutchinson’s photographs of her 1988 performance question the visibilty of Pacific people as a whole in Auckland. A stark reminder that maybe things haven’t changed too much. Toa Tahi Taihia on the other hand reminds us of the Niuean role in WWI, an aspect of the WWI history that has no real literary backing. Talia Smith interested more ephemerality, archives spaces that appear to be abandoned through a large photographic series. Janet Lilo’s Little Texts comprises of publicness without a public drawn with extension cords along the back wall. Unlike the other works, this one makes visible an inner politic surrounding Kalisolaite Uhila’s Mo’ui Tukuhausia at the this years Walters Prize. And while it seems to be revealing things in actual fact what it makes visible is how little we know. We are alluded to a controversial photoshoot but are told nothing further than that. 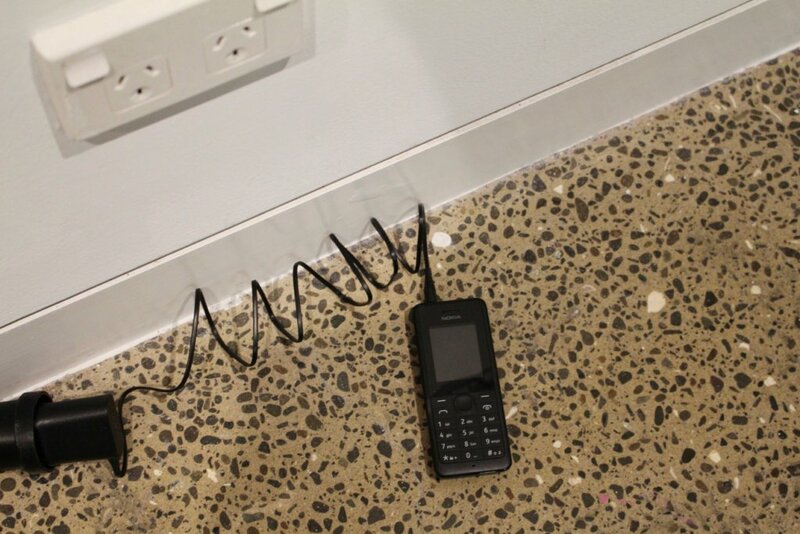 The extension cords are plugged into a cellphone which throughout the exhibition will receive various fragments of information. It’s kind of like the New Zealand art scene’s very own gossip girl. Xoxo.